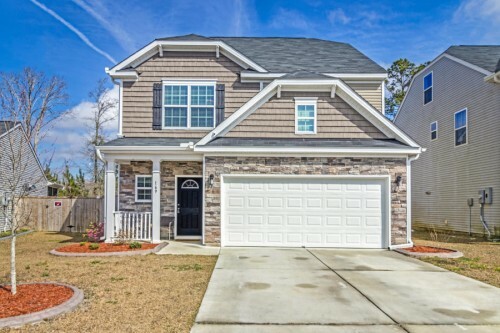 The Athens is a great master up plan with a study - Imagine pulling into the driveway of this well-landscaped, cheerful home at the end of a hard day at work! Walk through the front door, relax in the spacious family room overlooking the back yard. Sliding glass doors open from kitchen eat-in area onto the patio. This large corner lot has a privacy fenced back yard, and just around the corner - a secret garden area, perfect for flowers and vegetables! Not an ''outdoors'' person? 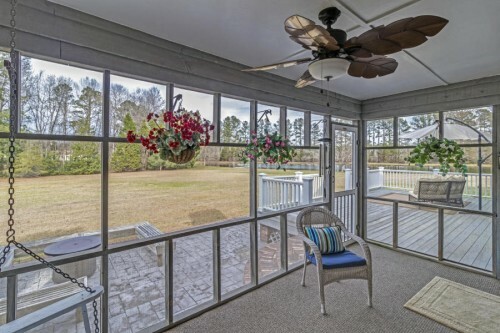 Enjoy nature from the bright & airy out door Pergola off the family room. A formal dining room and an open kitchen complete the downstairs. Shiny appliances, tall cherry-stained wood cabinets, a pantry, ample counter and counter top space make food preparation fun. The Master Suite, three additional bedrooms and shared bath, and laundry room are upstairs. ***MOVE IN READY***Great Location and access to 1- - ***MOVE IN READY***Great Location and access to 1-26. Very well maintained Town Home. 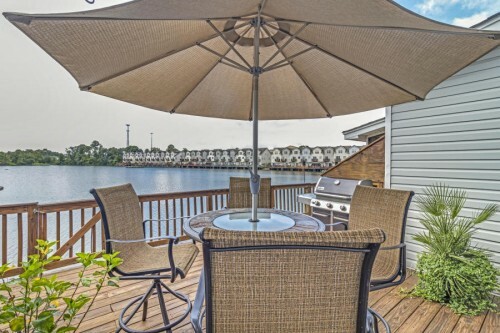 Imagine waking up each morning to a beautiful water view, walking outside on your deck to catch the sun rise. The Seamless floor plan incorporates the dining area into the kitchen and the living room making entertaining friends a welcomed event. Great Home, close to many shops. Upstairs Kitchen. - Great Home, close to many shops. Upstairs Kitchen. Mother in Law suite. New Appliances. New Upper Decking and stair case. Home has 4 Bed rooms and 4 full bathrooms. Newly renovated Kitchen, including granite counter tops, back splash and new sink. There is a boat landing very close to the home. MOVE IN READY! You don't want to miss this! Locat - MOVE IN READY! You don't want to miss this! 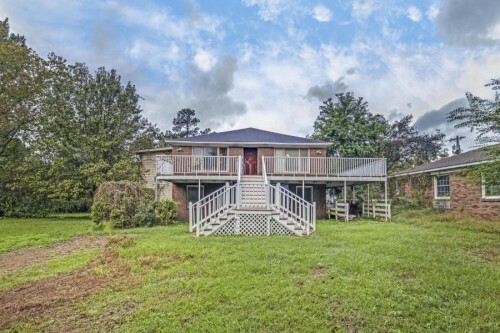 Located on one of the largest lots in Cypress Grove, beautifully landscaped, well maintained flower beds, back yard including a pergola and firepit, fenced in. 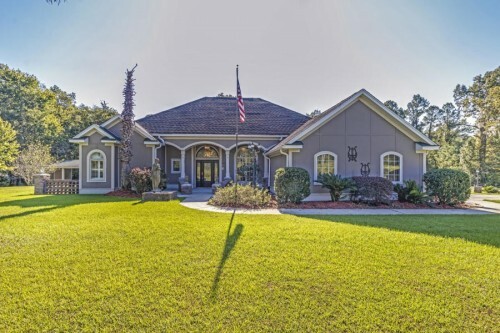 This home is immaculate, Filled with upgrades. 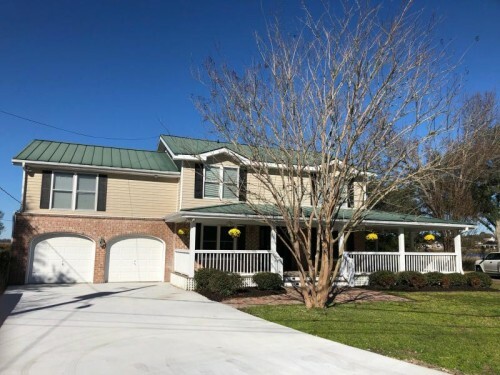 Hardwood floors all throughout the main floor; the large family room opens to the breakfast area that boasts of a large pantry, upgraded cabinets with under cabinet lighting, stainless steel appliances , USB outlets and so much more. The master features tray ceilings an on suite that showcases a 5 foot shower with a nice shower head system, dual vanities, linen closet, private water closet and walk-in closet. Third Floor huge loft, additional bedrooms with great storage shelving in closets. 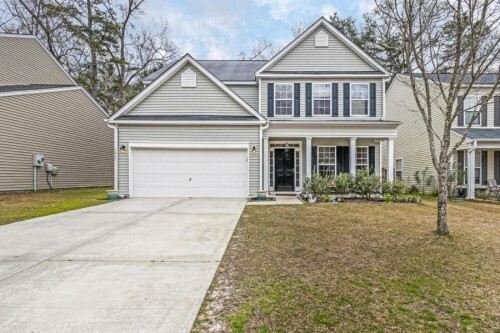 Gorgeous Charleston Single Design with Detached Ga - Gorgeous Charleston Single Design with Detached Garage! 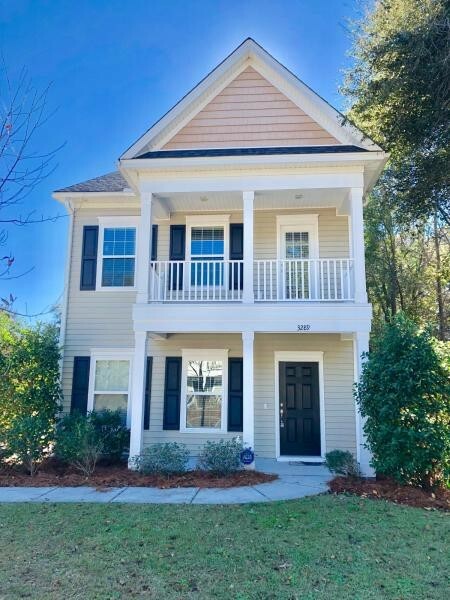 This 3-story charmer features gleaming wood floors throughout the entire first floor, Granite Countertops in the Kitchen (Including Large Island) with Stainless Steel Gas Appliances. The Exterior features a full 2-story front porch with access to the 2nd story porch off the Master Bedroom! The Huge family room is open to the kitchen and Dining area. The master suite has a spacious bath and separate walk-in closet, Raised Marble Dual-Vanity, water closet and a separate garden tub and glass shower. The laundry is conveniently located on the second level and provides easy access to the bedrooms. If you like to entertain you will love the Music/Ipod Dock with built-in speakers. Gorgeous ONE OF A Kind Property. The entrance t - Gorgeous ONE OF A Kind Property. The entrance takes you into a beautiful hardwood floor Dining and living room. Perfect for a Piano and music room. Custom features all through out this custom built home owners dream house. Kitchen Counter Tops from Costa Rica, Tile in the Master Bed room from Spain. The Master bath has all the luxuries that will make the new home owner feel well kept and maintained. There are 3 entrances that lead outside to the Patio area, perfect for entertaining. The Hot Tub will stay for the new owners. Old Charlestonian Iron gates accentuate the outside. The Outside of the home is made of Hardie board concrete that has 8 inch thick walls. There is a separate detached garage with a one bed room apartment The eves outside are wired for Christmas lights.